Fishing meat on commercials for carp or rivers for barbel is deadly! These rigs make the task so easy and your meat does not end up flying off your rig. Five sizes are in the range from size 6 hooks to 0.22 (10.3lb) down to 14 to 0.16 line. once you have attached the rig, take the piece of meat or soft pellet you wish to use as a hookbait and twist it onto the spring. it couldn't be easier, and because the fish find it harder to get the bait off the spring than your hook, your hook up to bite ratio will improve significantly.Keith and William at Reelfishing personally recommend these. 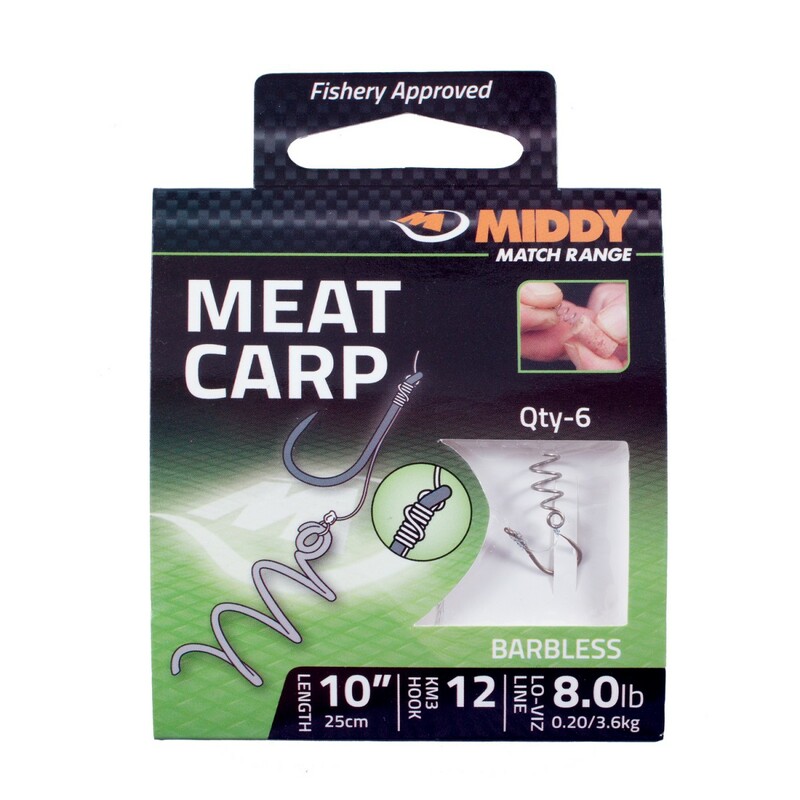 FREE Delivery on all Middy Hook to Nylon over £100!! !